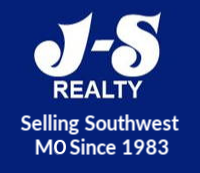 Being a Broker with J-S Realty, and a member of the Ozarks Board of REALTORS, I see the advantages of using a REALTOR in the process of buying and selling homes. With my background of over 13 years in the real estate industry as a REALTOR, Mortgage Officer and a Closing Agent for a title company I have the experience and knowledge to help customers through the home buying/selling process. I look forward to serving the Bolivar community and surrounding areas.